The Atlanta condos listed below have only been on the market for less than 24 hours, making them the freshest condos in the city. 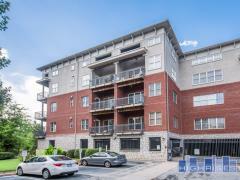 Contact us at 404-491-7770 to tour any condos you see here. And be sure to check back often as this page will update automatically as new listings are added. You can also search for new listings by area on our Buckhead New Listings page, Midtown New Listings page, or Downtown New Listings pages.